They placed me in here and threw away the key. I look down at the gown they’ve put on me. I want my own clothes. I don’t know how long I’ve been here. 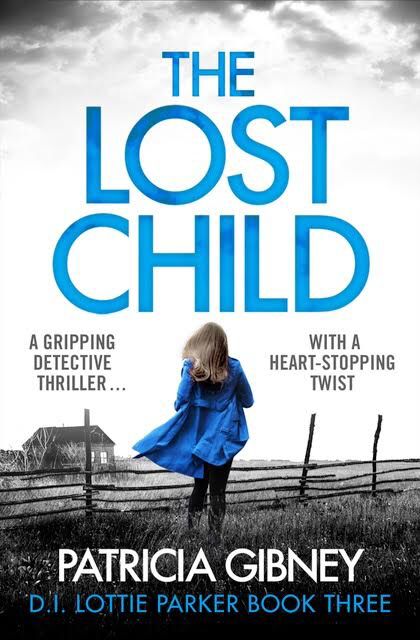 The Lost Child is a thrilling page-turner from the bestselling author of The Missing Ones and The Stolen Girls that will have you guessing right to the very last page. Perfect for fans of Rachel Abbott, Angela Marsons and Robert Dugoni. 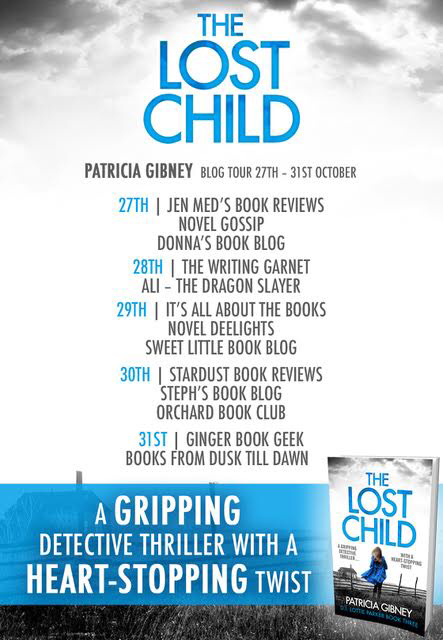 I’m so thrilled to be helping to kick off the blog tour for The Lost Child today! This is the third book in a series that follows Lottie Parker, I absolutely loved The Missing Ones and The Stolen Girls and was eagerly awaiting the latest installment. I don’t recommend jumping in at this point in the series because the character development is SO great and each book reveals a little bit more about Lottie and her other team members. Also, it’s an awesome series so if you’re a fan of police procedurals and haven’t read this you are definitely missing out! Lottie is still a lovable mess, she constantly has way too many plates spinning but she just cannot help herself, she thrives on chaos. Her kids are doing a bit better after the events of the last book but their house is still crazy and Lottie is struggling to maintain a balance between work and family life. Speaking of work, her caseload is bigger than ever, true to form there is a lot going on in this book and several interesting sub plots/cases are being investigated, there is always action and excitement in a Gibney book. Boyd is still around, much to my relief and once again, his and Lottie’s chemistry is amazing. This is told mainly in the present but there are several chapters from The Child, a nameless person who appears to have been raised primarily in an asylum under horrific circumstances. I wondered so many times how this could possibly relate to any of the investigations and when things all came together I was definitely surprised. Gibney has certainly found her stride with this series, she does a fantastic job weaving together an intricate plot with red herrings galore and excitement and tension to boot. It’s dark, gritty and intense with shocking developments and well executed twists. This case turns deeply personal for Lottie and provided more questions than answers in the end and I really cannot wait to see what happens next! Patricia lives in the midlands of Ireland. She is an avid crime reader so naturally she found herself writing in the crime genre. A life changing experience in 2009, with the death of her 49 year old husband, meant she had to give up her career, and over the following few years, she rekindled her love of art and writing. Initially Patricia wrote and illustrated a children’s book, but her real ambition was to write a novel. And she did! In January 2016, she joined with Ger Nichol of The Book Bureau Literary Agency. 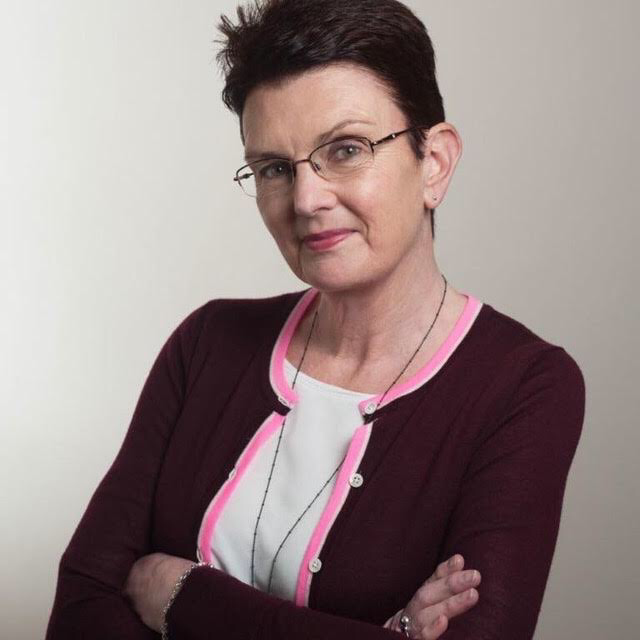 In July 2016, Patricia signed with Bookouture for four DI Lottie Parker crime novels. The Missing Ones (Book 1) published in March 2017 and to date has reached a high of number 2 in Amazon UK Kindle charts and number 6 in the US. It also achieved number 1 in all its categories. It is a bestseller in UK, US, Canada and Australia. Book 2 in the series, The Stolen Girls, published on July 6th, 2017. Book 3, The Lost Child, is on pre-order and is published on October 27th, 2017.